Dorothy Gish has been unjustly forgotten. Dorothy Gish's life and career has long been hidden behind the very long shadow of her elder sister Lillian Gish. This is something Lillian never wanted. Lillian always claimed Dorothy was the more talented Gish sister. Dorothy, not too sure she really cared one way or the other. 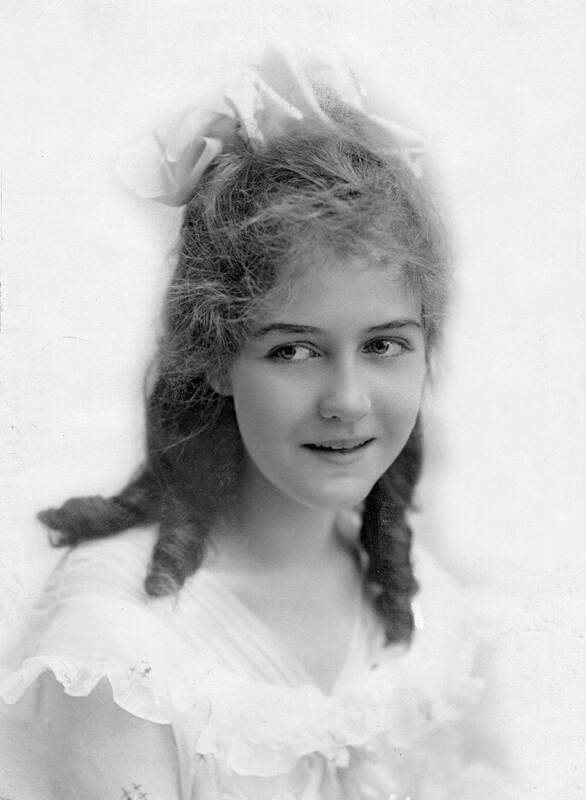 Chronicling Dorothy Gish's life and career is a considerable challenge. Contrary to Lillian's insistence, Dorothy left no archive. If she did, it has languished yet undiscovered. Dorothy was, apparently, not a saver as Lillian was. Tragically, most of Dorothy's silent films have been lost due to time and neglect. It is hard to properly assess her career at her peak with nearly every film between 1917 and 1922 lost. What little there is of Dorothy extant, however, is well worth seeking. Dorothy was a pioneer, starting her film career along side Lillian with D.W. Griffith and Biograph. Dorothy had a gift for comedy, and Griffith seemed to have little interest in humor, therefore, little interest in Dorothy. Dorothy was not offered the plum parts in those early Biographs. This left Dorothy to work with directors Sidney Franklin and Elmer Clifton, more so than the Master himself. It did not hamper her, Dorothy's films were enormously popular. She shined in them and this resulted in her being offered a lucrative contract away from the Griffith stock of players, as it had been the case with Mary Pickford. Dorothy was also a bit of a rebel in leaving Hollywood to make films in Great Britain. In 1930 she made her first talkie, Wolves. She loathed the experience so much she retired and left film work behind. Dorothy then returned to the stage and worked for the next 30+ years, including a long run in Life With Father. In that time she left us with very few television and film roles to chronicle her later career. Theater work is like lightning. It flashes and is gone, except for memories of the fortunate few. With so little left of Dorothy to actually see and remember, she faded from memory. Lillian's longevity and lifelong career made the shadow obscuring Dorothy loom all the more. It is my hope to bring Dorothy Gish out from behind that deep shadow and back into the light giving her just due.